Get ready to add to your To Be Read pile, because over the next few weeks we’ll be sharing all of the recommendations we received. This week we’re sharing recommended poetry and verse books, as well as poems, just in time for #NationalPoetryMonth. Be sure to check out the other blog posts in this series so far, professional development, children’s books, and YA and adult fiction recommendations. In this ferocious and tender debut, Chen Chen investigates inherited forms of love and family—the strained relationship between a mother and son, the cost of necessary goodbyes—all from Asian American, immigrant, and queer perspectives. In this brave, elegiac debut, Nicole Tong relies on empirical evidence to construct meaning in the wake of a series of losses that include a childhood lost to trauma, a best friend lost following childbirth, a brother-in-law, a father, and a generation of children in the poet’s hometown after a water contamination event. Across this remarkable first book are encounters with animals, legendary beasts, and mythological monsters—half human and half something else. Poems confront craving, control, the constant battle of alcoholism and sobriety, and the questioning of the self and its instincts within the context of this never-ending fight. In his prize-winning poetry collection Reliquaria, R. A. Villanueva embraces liminal spaces in considering an ever-evolving Filipino American identity. Languages and cultures collide; mythologies and faiths echo and resound. Barbie’s cultural artifice is unmasked by Victoria Chang’s imagination, lifting the struggle of Asian American experience to mythic levels. Like nothing before it, Rocket Fantastic reinvents the landscape and language of the body in interconnected poems that entwine a fabular past with an iridescent future by blurring, with disarming vulnerability, the real and the imaginary. Don’t Call Us Dead is an astonishing and ambitious collection, one that confronts, praises, and rebukes America—”Dear White America”—where every day is too often a funeral and not often enough a miracle. In this stunning debut, poet José Olivarez explores the stories, contradictions, joys, and sorrows that embody life in the spaces between Mexico and America. He paints vivid portraits of good kids, bad kids, families clinging to hope, life after the steel mills, gentrifying barrios, and everything in between. In this collection of poetry, Nikki Grimes looks afresh at the poets of the Harlem Renaissance—including voices like Langston Hughes, Georgia Douglas Johnson, and many more writers of importance and resonance from this era—by combining their work with her own original poetry. milk and honey is a collection of poetry and prose about survival. It is about the experience of violence, abuse, love, loss, and femininity. Margarita is a girl from two worlds. Her heart lies in Cuba, her mother’s tropical island country, a place so lush with vibrant life that it seems like a fairy tale kingdom. But most of the time she lives in Los Angeles, lonely in the noisy city and dreaming of the summers when she can take a plane through the enchanted air to her beloved island. Blade never asked for a life of the rich and famous. In fact, he’d give anything not to be the son of Rutherford Morrison, a washed-up rock star and drug addict with delusions of a comeback. Or to no longer be part of a family known most for lost potential, failure, and tragedy. Revenge. That’s where Will’s now heading, with that gun shoved in the back waistband of his jeans, the gun that was his brother’s gun. He gets on the elevator, seventh floor, stoked. He knows who he’s after. Or does he? Josh and Jordan must come to grips with growing up on and off the court to realize breaking the rules comes at a terrible price, as their story’s heart-stopping climax proves a game changer for the entire family. When Lonnie Collins Motion “Locomotion” was seven years old, his life changed forever. Now he’s eleven, and his life is about to change again. His teacher, Ms. Marcus, is showing him ways to put his jumbled feelings on paper. 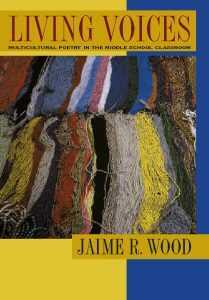 Looking for even more poetry books to add to your collection? 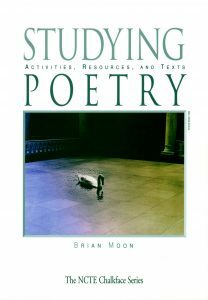 You might also want to check out the 2018 Notable Poetry Books selected by the NCTE Award for Excellence in Children’s Poetry Committee.